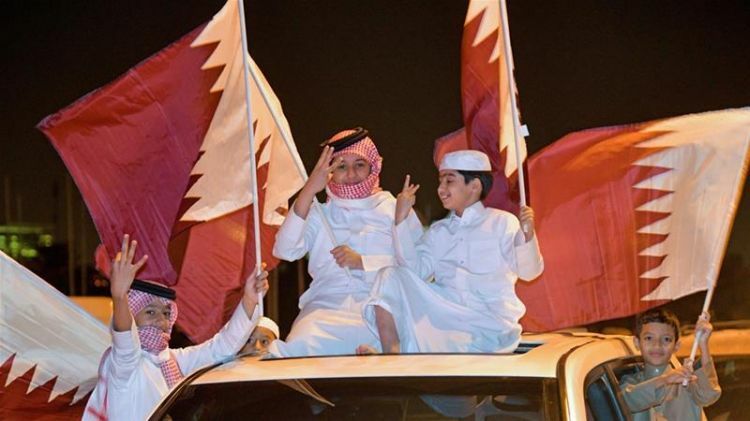 Citizens and residents celebrate Qatar's biggest football achievement with impromptu street parades in Doha. Thousands of people took to the streets of Qatar's capital, Doha, in an outpouring of joy after the final whistle of the AFC Asian Cup on Friday. The Gulf state carved out a piece of footballing history by winning the Asian Cup for the first time in a 3-1 upset win over four-time winners Japan in Abu Dhabi, UAE, setting off impromptu street parades that gridlocked parts of Doha. The capital's streets were packed with celebrating fans after the win, as citizens and residents draped in the country's maroon and white flag slung themselves out of car windows or hopped on to rooftops, horns blaring in celebration. The Maroons are expected back in Qatar on Saturday. Details about the team's reception in Doha are yet to be announced. The victory will give Qatar renewed hope of being able to compete against the globe's best teams when it participates for the first time in the World Cup - as hosts - in 2022. "Today we made history for our country, we need to be very proud about our achievement," said Qatar coach Felix Sanchez. "This is one step more towards be ready for 2022 and represent Qatar as a very competitive team at the World Cup." In Doha, Qatari fan Ahmed al-Kaabi described his country's team as "heroes". "This is the first continental cup we've taken and it's even despite all the pressure that was put on this team, which just proves that they are heroes," he said. Ali's early goal took him past Iranian Ali Daei's 1996 tally and, combined with a 27th minute long-distance strike from Abdulaziz Hatem and a late Akram Afif penalty, helped the Qataris claim their first continental title. Sudan-born Ali's record goal came after a protest by the UAE into his eligibility to represent Qatar was dismissed by the Asian Football Confederation only a few hours before kickoff. "It came with lot of effort. It came from determination. It came from immense hard work on the pitch. We were able to win today because we took all the chances." The UAE is among a quartet of nations accusing its regional foe of supporting "terrorism", which Qatar denies, and even prevented the team from travelling direct to Abu Dhabi for the tournament.